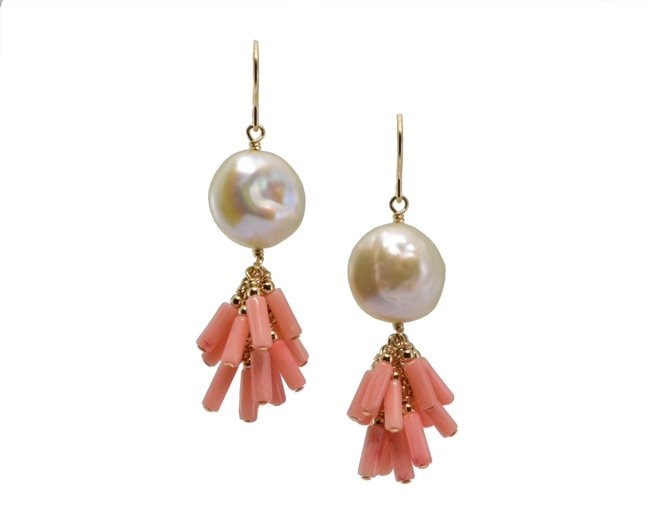 Beautiful White Freshwater Coin Pearl Earrings with a fringe drop of Peach Coral Beads. Fun, sassy and easy to wear. Made in the U.S. by Silver Pansy. Gold filled chain & Hooks. L 2" X W 5/8".